Madagascar is the fourth-largest island in the world and is located 350 miles off the south-east coast of Africa. 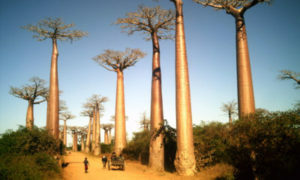 Many people know of Madagascar because of the cartoon movies, but Madagascar is best known for its diversity of its plant and animal species the majority of which are found nowhere else on earth. Historians believe that the first settlers of Madagascar arrived around the time of Christ and were of Polynesian descendents. Until the late eighteenth century, Madagascar was ruled by eighteen different fragmented alliances. Under the leadership of king Andrianampoinimerina and his son Radama I, Madagascar united and was recognized by the English government as a nation. After over one hundred years of sovereignty, Madagascar was colonized as the French and remained this way until it gained its independence in 1960. Today, Madagascar is comprised of nearly 23 million people many of which live on only one dollar a day. The national languages of Madagascar are French and Malagasy. Malagasy is closely related to an Indonesian dialect and very much unlike languages in mainland Africa. Though there are eighteen different ethnic groups on the island, each speak a similar version of Malagasy allowing everyone to communicate easily. Because of their Southeast Asian heritage, Malagasy culture shares many things in common with them. 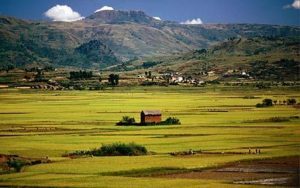 In particular, the staple food in Madagascar is rice, and Madagascar has the highest per capita rate of rice consumption in the world. Rice is usually eaten with any number of side dishes. Nearly fifty percent of the Malagasy people hold to their traditional religion which places a strong importance on the veneration, or worship, of their ancestors. Many traditional Malagasy people call on their ancestors for blessings to their families. Any misfortune or accident that occurs is thought to be the curse of their ancestors. This has created many taboos and practices that must be followed to please their ancestors. In many areas the bodies of dead loved ones are taken out of their tombs in elaborate rituals to celebrate and appease them. 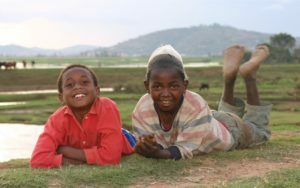 Sadly, many of the Malagasy have never heard about the free gift offered to them by Jesus Christ.